You probably have a friend or a cousin who drinks lemon water on a daily basis. 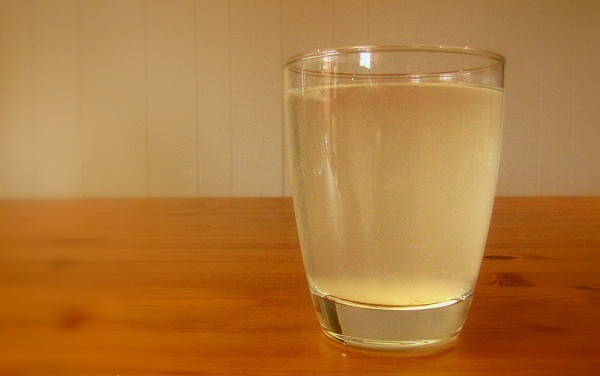 Have you ever wondered why lemon water became that popular lately? Or, what makes it so special and efficient? There is one thing we can say for sure, and it is that your body will be more than grateful if you start drinking this healing water tomorrow morning! You can be a businessman or a full-time mom, stressed student or an athlete, however, your morning routines are something you should all pay special attention to. Morning habits are the most important thing for all of you -- in that aspect you are all equal. Ayurvedic philosophy explains that the resistance to many disease depends on the choice you make in terms of your daily habits. Drink some warm lemon water before you eat or drink anything in the morning. How to make it? Add some lemon juice (use half a lemon) to a cup of warm water. It is that simple. Lemon water improves your immune system. Lemons are loaded with vitamin C and potassium. This vitamin is the perfect ally you need next to you when it comes to treating colds, and the mineral not only stimulates your brain and improves the nerve functions, but it is also known for its ability to regulate the blood pressure. It balances your pH values, which is the key to a good health. Need to get rid of those extra pounds? Lemons will help you to reduce your appetite -- you will stop thinking about food all the time, and that will significantly ease the weight loss process. And life is much easier if you start your day the right way, right? You will be able to accomplish your daily tasks easily without feeling exhausted or out of energy. Lemon water supports proper food digestion. Warm lemon water stimulates the gastrointestinal tract-waves of the muscle contractions. Lemons are rich in minerals and vitamins that play important role in the elimination of the toxins in your body. It is a natural diuretic. Lemon juice is your best friend when it comes to detoxification. Lemon water is the best way to a better skin. Vitamin C is known for its efficacy in fighting acne and wrinkles. Warm lemon water eliminates the toxins in the blood, and thus keeps your skin clean. It hydrates the lymphatic system. Regular consumption of lemon water will keep you safe from dehydration and it will also increase the secretion of adrenaline. Dehydration leads to improper bodily function, which results in stress, accumulation of toxins, and other health conditions. We hope that all the above was enough to make you start living a healthy life. This routine will provide amazing results in the first month you start consuming the healing water, and the sun will sure shine brighter for you in the mornings. As we already explained, the recipe is quick and easy to make -- all you need is some warm water and half a lemon.